Three weeks ago, the Internet ground to a halt as news of The Clone Wars revival began to spread. Against all odds, Lucasfilm decided to give the hit animated series another roll of the dice with a 12-episode installment that’s since been earmarked for Disney’s direct-to-consumer streaming service. The anticipation is palpable. Not only are viewers beginning to mull over the endless possibilities that The Clone Wars 2.0 brings (Ahsoka’s backstory, for instance), but series showrunner Dave Filoni has detailed the ways in which the TV show has evolved in a post-Rebels world. As a matter of fact, as Filoni tells Cinema Blend, The Clone Wars of 2019 (tentative release window) will be shaped and informed by Lucasfilm’s other hit Star Wars series. You know, that’s the interesting thing, when you do these shows and different time periods and cross characters over, but you are laying out a lot of their stories. So now, to be quite honest, no one’s asked me this. It’s interesting, because Clone Wars affects Rebels and that’s progressive, but now I have to look at it in reverse and I have to look at all the things I did with Ahsoka and Rex and say ‘Well, now I know these things happen so how does that affect what they were like now that I’m back in Clone Wars?’ So I have to do this other time of engineering which I didn’t have to do before because Ahsoka in Clone Wars is always forward-moving, and so is Rex. Their futures were undetermined, but now you know something about them, so that’s different. That’s new for new Clone Wars, so we’ll see. Hopefully, I can figure it all out. And even if you’re not particularly fond of Rebels, or the old Clone Wars series, Filoni is quietly confident that the upcoming TV revival will have a little something for everyone. Some of the Clone Wars fans, the fans are amazing in their variety and their loyalty too. I have Clone Wars fans, they love Clone Wars. They are not interested in anything else. Clone Wars is their thing, every day, ‘Please save the Clone Wars.’ It’s really wonderful. But they were like, ‘Oh, Rebels, what is this?’ They loved Clone Wars! And I get that. ‘Who is this new thing?’ But when Ahsoka showed up and then Rex, they were like, ‘Oh, gosh, now I have to watch it.’ I think we’ve pulled them along and I hope they enjoyed it at the end of the day. Comprised of 12 episodes in total – for now, at least – Lucasfilm’s Clone Wars revival is expected to go live late next year as part of the Disney streaming service. 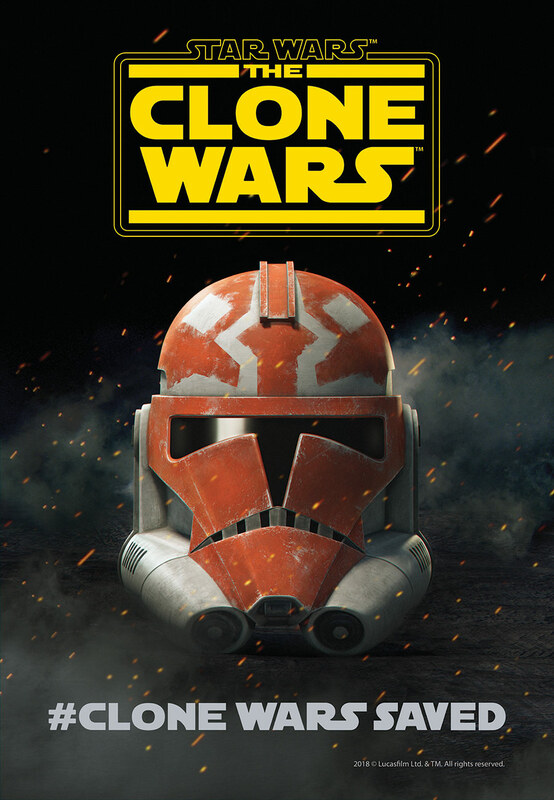 Elsewhere on the Star Wars news cycle, the Jon Favreau-directed TV series is rumored to take place on Mandalore soon after the fall of the Empire. And it’ll cost $10 million per episode, placing the untitled live-action series in the same company as Game of Thrones and The Crown.